Morning Pick up from Delhi airport and drive to Shimla. Arrive and check in at hotel. Later proceed for sight seeing tour. Overnight stay at Shimla. After breakfast at hotel, proceed for sightseeing tour of Shimla covering Kalbadevi Temple, Jakhu Temple, Hanuman Temple or stop for a while at the beautiful stained-glass - windows of Christ Church. Afternoon excursion to Kufri- a 30 Minutes drive from Shimla. Evening free to enjoy the scenic beauty of Kufri. Rest of the day is free to explore. Overnight stay at Shimla. After Breakfast at hotel, drive to Manali. 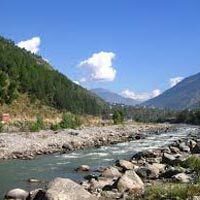 Pass by beautiful Kullu valley, Beas river, Dashehra maidan. Arrive and check in at hotel. Evening free to explore Manali. Overnight stay in Manali. After breakfast at Manali hotel, proceed to half day city tour visiting Hidimba Temple, Manu Temple, Vashisht Temple and Tibetan Monastery. Evening free for roam at your own. Overnight stay at Manali. 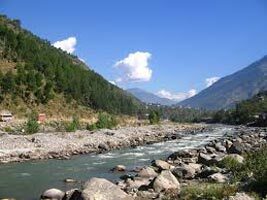 Morning after breakfast check out from hotel and drive to McLeod Ganj enroute Visit Palampur. Arrive at McLeod Ganj Transfer to Hotel and Check in. Evening free time visit McLeod Ganj Market . Overnight Stay at hotel. After breakfast at hotel visit full day McLeod Ganj and Dharamshala sightseeing like bhagsunath Temple , St John church, This charmingly dressed stone church is located just 8-km from Dharamshala on the way to McLeod Ganj & Tibetan Children Village Institute.back to hotel leisure enjoy the day of McLeod Ganj and overnight Stay at McLeod Ganj. After breakfast check out from Hotel and Drive back to Delhi .Arrive at Delhi Transfer to Airport /Rly Station for your onward journey with memories of a lifetime trip.